Receiving goodies from Therapy Shoes is a pretty good definition of a perfect ending to exam week - how amazing do these Camelot boots look?! The gold details (particularly the line of studs at the back) are a favourite and the shoes themselves are one of the most comfortable ones I own. 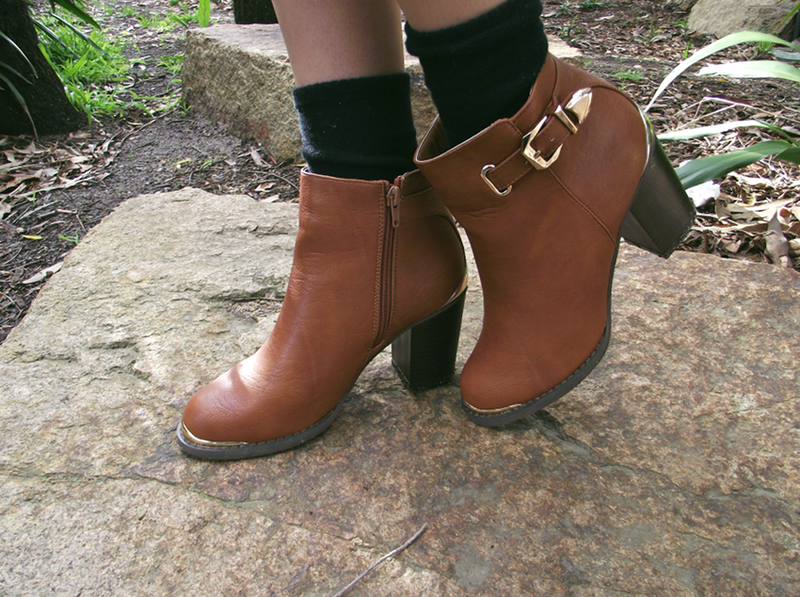 Should you be on the look out for a good quality pair of boots (or any other shoe for any season), I genuinely recommend checking out their website - the black Therapy ankle boots I wore a few posts back were bought over a year ago and have endured all kinds of weather without showing signs of wear! 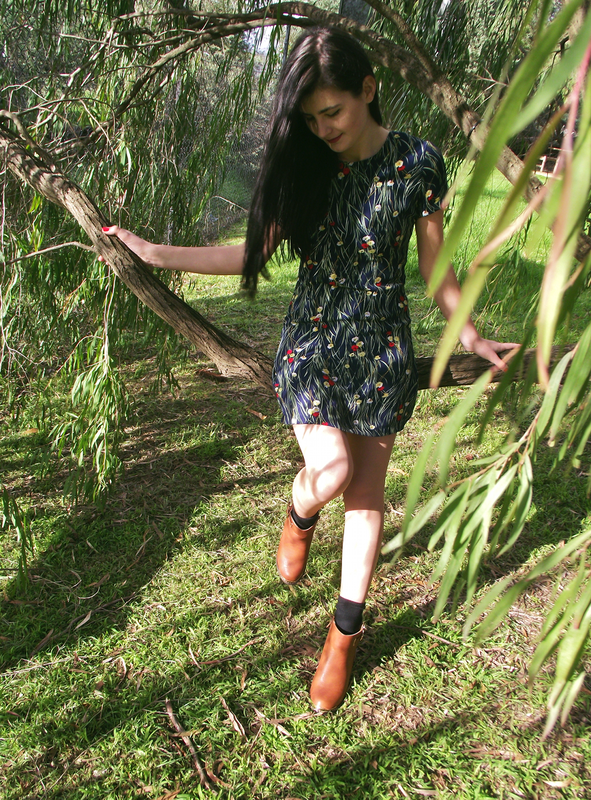 On another note, after over a decade of living in our suburb my parents and I finally ventured out to the local Botanical Gardens to do some location scouting, and I think it's fair to say that both of my parents are naturals at taking photos haha, and quite wonderful for taking the time out to help with my little blog. 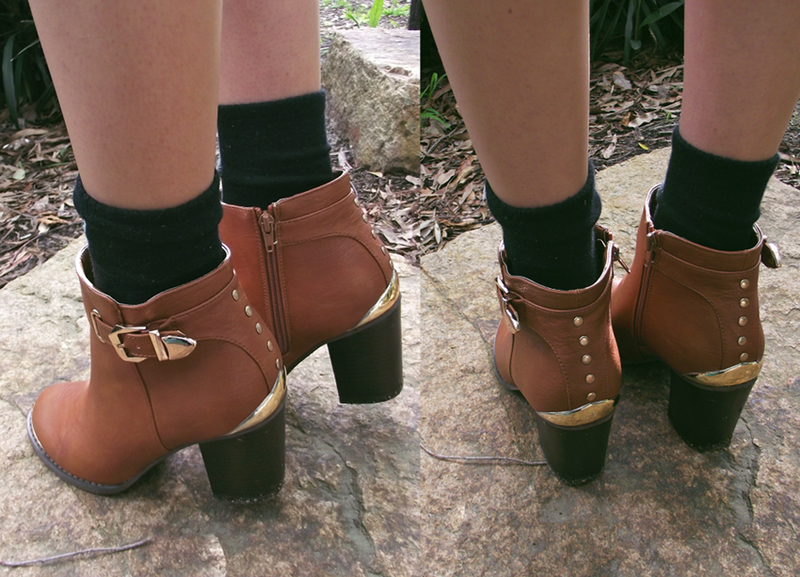 Love the boots and socks combo :) so nice! I am crazy about your boot. The color of your boots are amazing. I have a pair of Rag&Bone booties that I really love - however, I purchased them in a black color. I would love to find a brown color that would go with my summer outfits! Your parents are great photographers! And the boots are beautiful! Absolutely love your dress and the details on your boots are great! I love this look! 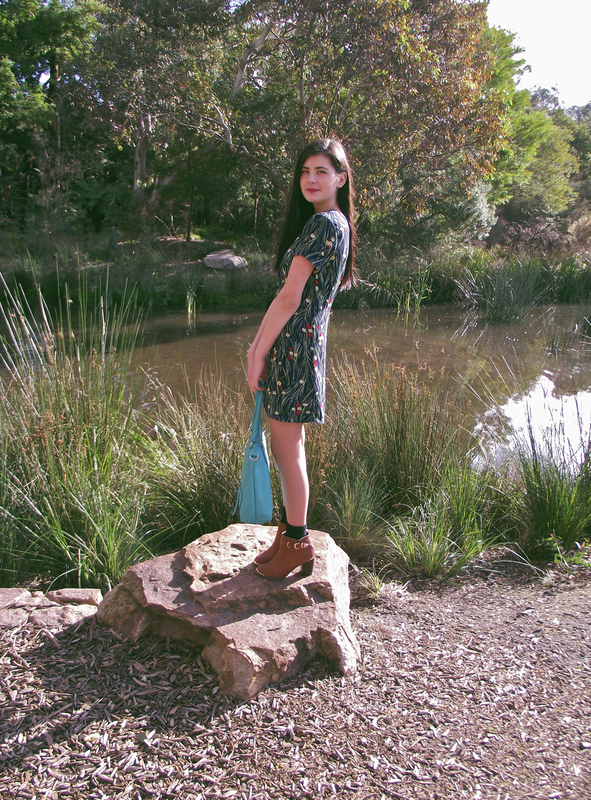 You look great in that shift dress and the boots are so pretty! Those boots are amazing - love them - I haven't heard of the brand before so I will have to check out whether they are available in the UK. I also love the contrast of a cute print dress paired with boots - really adds an edge to the whole look.